Known for its art district and some of the world’s best steakhouses, Dallas, Texas, is a fast-growing metropolis with many options for entertainment. 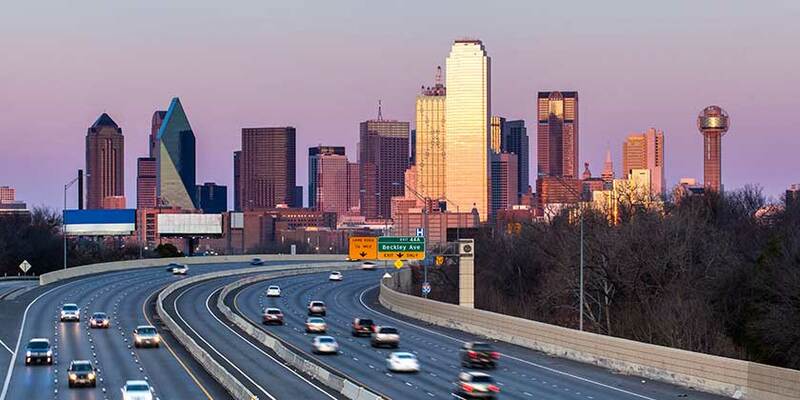 The Dallas area is home to several popular sports teams, museums, and some of the best shopping around. Dallas has developed into a major industrial center, hosting several large, successful companies. But the laid-back dining and nightlife is what keeps people coming back. Whether attending a rodeo show, sampling the sophisticated dining and galleries, or just looking for a warm-weather escape, a Dallas vacation leaves you to choose your own adventure. This family friendly fun includes a real cowboy dinner, with real cowboy hospitality, and even a rodeo or bull riding on the weekends! Resort info: Hyatt Place is an exciting and innovative new select service hotel offering more of what is important to today's travelers. Resort info: Located by the popular Uptown/West Village area and less than three miles north of downtown Dallas and 5 miles East of Love Field Airport. Resort info: Situated in the heart of downtown, just a short walk to the Dallas Convention Center and just 6 miles from Love Field Airport. Resort info: Located close to Texas Instruments, Medical City Dallas, the Galleria Mall, and the Dallas Arboretum and the new George W Bush Presidential Library. Resort info: Hyatt Regency North Dallas located in the heart of Richardson, Texas is surrounded by the Telecom Corridor. Resort info: Le Meridien Dallas by the Galleria is just steps away from a wide variety of shopping, dining and entertainment options.